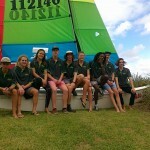 During the first week of the April holidays, the 50th annual CHS sailing regatta was held at Belmont 16’s sailing club. 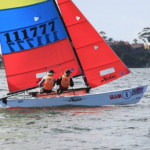 There were 6 exciting races held over the 4 day event, with all sailors immensely enjoying their time on Lake Macquarie, NSW. There were six Hobie 16’s at the event with the top four being hotly contested throughout the whole regatta. 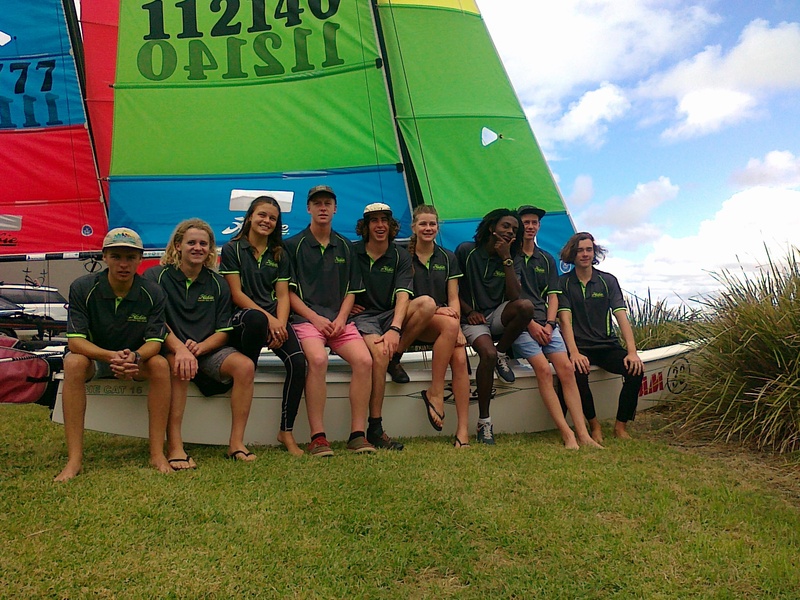 In addition to the Hobie 16 teams, 2 other Hobie youth also sailed in the regatta. 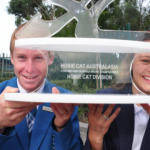 Bailey Skewes sailed with Lucy Nissen on a Nacra F18, and Lachie White carved up the fleet and took top honours in the multihull division sailing a foiling A Class. 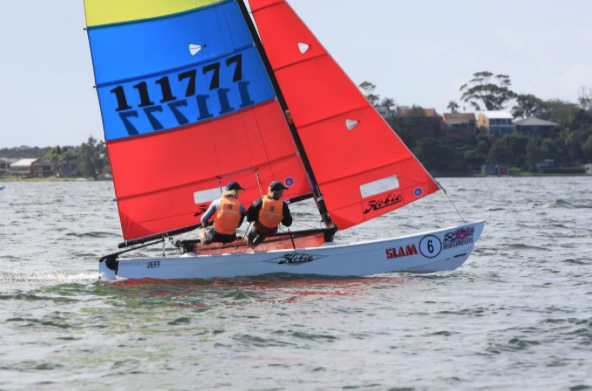 At the conclusion of the regatta Kyle Fortier and Bonnie Butler ended up winning the Hobie 16 class on count back to beat Will McKenzie and Pat Butler. Even with predominately light breeze over the week, there was still plenty of excitement. On the 3rd day of the event, racing was postponed due to lack of wind and then due to a 3 meter shark in the race course, and it was spotted by Vincentia’s very own Nick Eastment and Chilli Engel when it swam up and attacked their rudders! All in all the regatta was a great success with all students/sailors having a wonderful time. 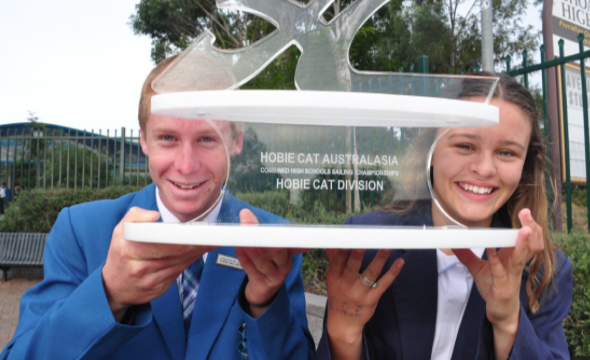 Thanks must also go to Hobiecat Australasia for donation of the magnificent trophy for the Hobie class at CHS regatta. It will be a lasting legacy for the class and it will be appreciated for years to come.